VICTORIA, BC – Category 12 Brewing has announced the release of the latest in its Data Series of IPAs. A pillowy cradle of wheat and oats is the perfect fount for this powerful thunderclap of hops! A storm of citrus, tropical fruit, and berry flavours will keep you riding a balanced crescendo of flavour unlike anything you’ve had from us before. 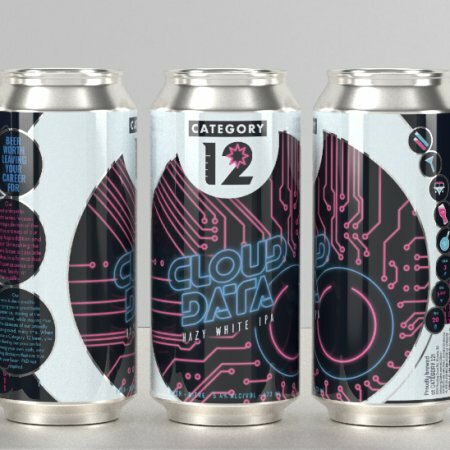 Cloud Data is available now at Category 12, and next week at select private beer retailers.